Written on March 25, 2013 . Posted in Announcements + Updates. 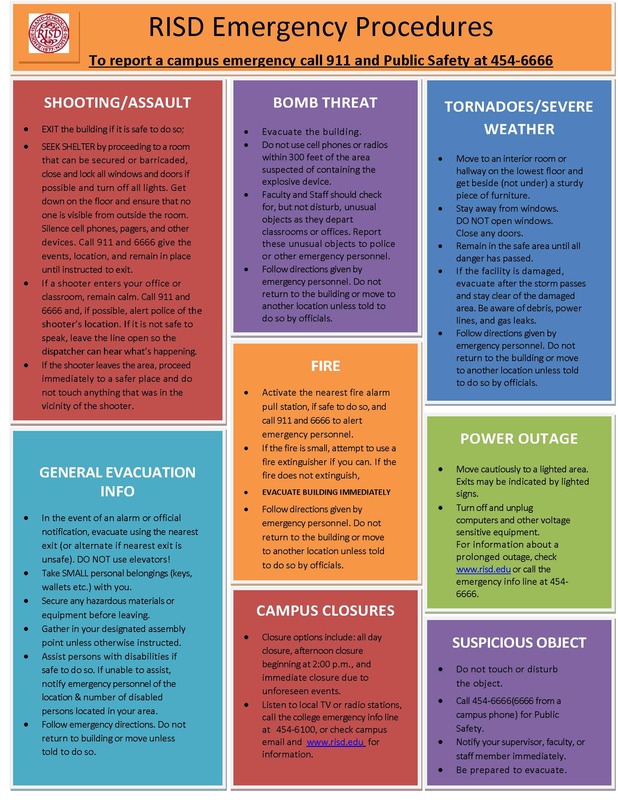 The Emergency Operations Command Team (EOCT) has prepared the below poster which provides some quick tips on what to do during certain types of emergency situations. Copies of the poster will be posted throughout all of our buildings shortly. In addition, over the next few months, Jennifer Howley and Ed Renzi will be making a series of presentations to the RISD community discussing the role of the EOCT and emergency preparedness.